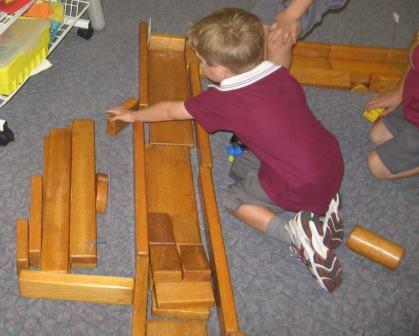 Block construction is a popular everyday activity in our classroom and, whilst there are documented stages of development that children go through as they construct with blocks, sometimes I think they can get a bit “stuck” and need some support to move on in their thinking. 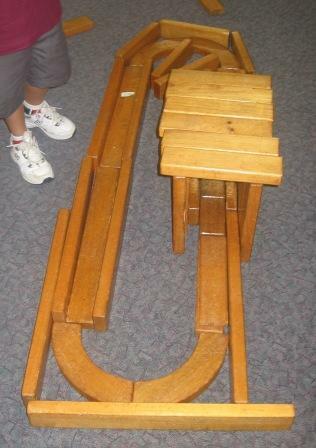 An example of this occured when I had a group of children in my class who pushed blocks around the floor pretending they were cars, occassionally constructing a simple straight road for them to drive on. 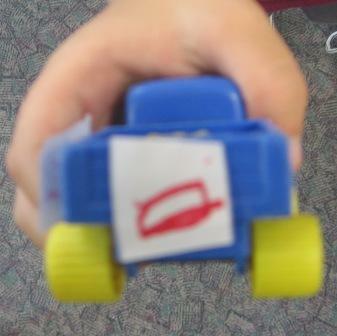 Over several days I listened to and observed their play, noticing a strong interest in racing cars. 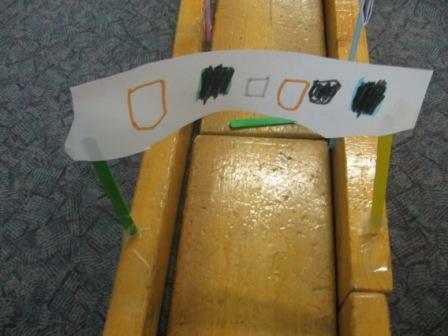 Using this information, I added some numbers and stripes to a car and asked if I could join them in their game. They immediately noticed the numbers on my car and this provoked an interesting conversation about racing cars and tracks. 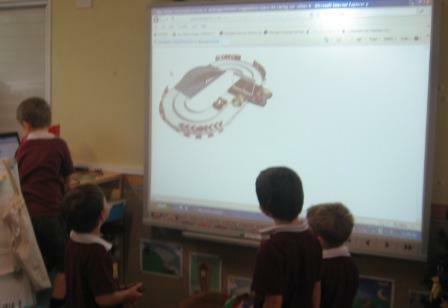 From this discussion the children decided to construct their own racing track and using the Interactive Whiteboard we searched for information to support their ideas. 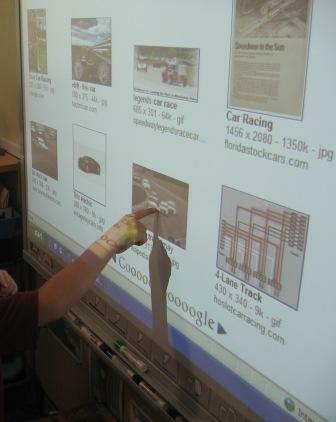 The IWB is a really useful tool in these situations as it provides the children with opportunities to closely observe and discuss the images they find interesting. 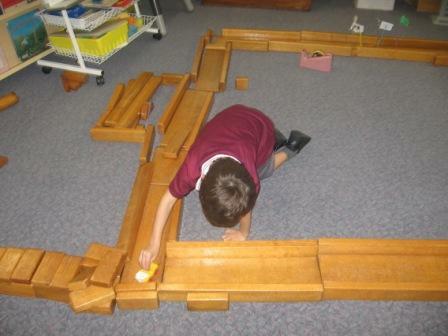 From the information found, they can synthesise, select, and print out the ideas that are the most useful to their play. Using Higher Order Thinking and Critical Literacy skills to make decisions and enhance learning. 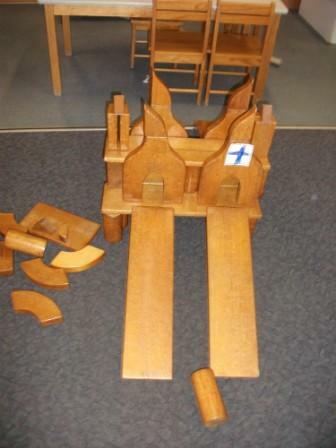 Armed with the information they needed, the children began their construction. 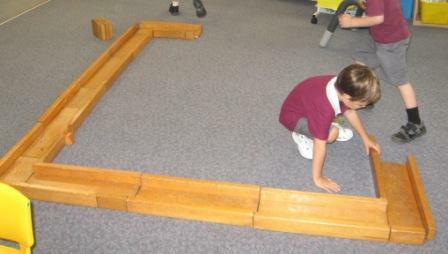 Some of the children drew plans and built the racing track. 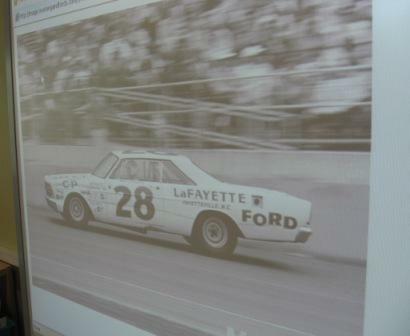 As they built the track they also constructed the safety fence after noticing one in some of the images they found. 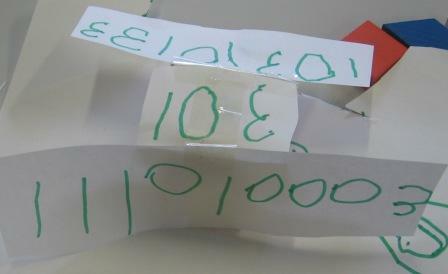 One of the children was very eager to construct the Pit Stop area – with little fuel tanks and hoses “for the mechanics to fill up the cars when they run out of petrol”. 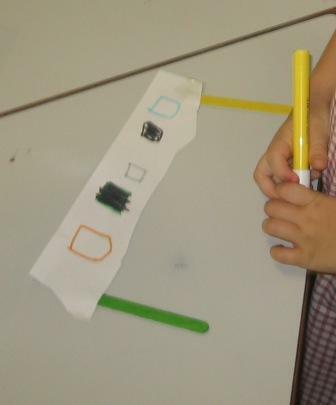 Other children were interested in the signs and flags they observed around the tracks and took on the role of making them. It was tricky getting the Finish Line banner to stay up. 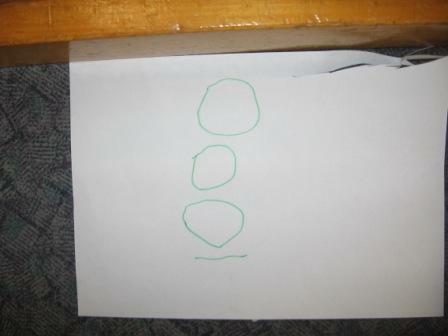 Lots of numeral writing. There is a car hiding under all the signs but they didn’t last long because the cars didn’t fit on the track with them on. The fire coming out of the exhaust. 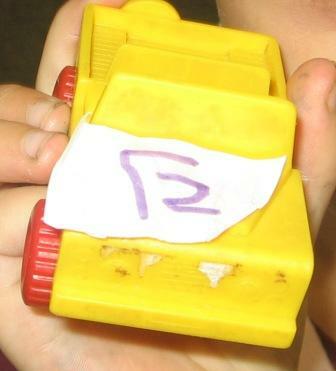 An experimental car made out of collage and boxes. 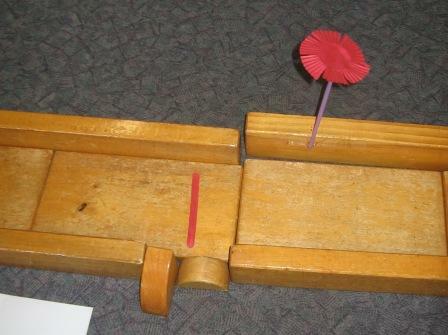 The children were engaged in long periods of rich sustained play not just when constructing the racing track, but also when it was completed. 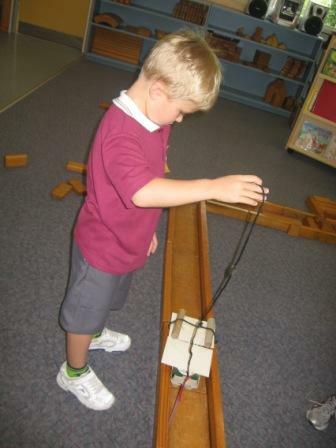 The purpose of this experience was to “move on” some of the children’s thinking when constructing with blocks. This project demonstrated they were ready and able to operate at a “higher” stage of construction development. It was only in later construction opportunities that their ability to apply their understandings independently would be known. Here is an example of another racing track built after this project. This was was built without support or scaffolding from an adult. and the start of a road with an interesting bridge. 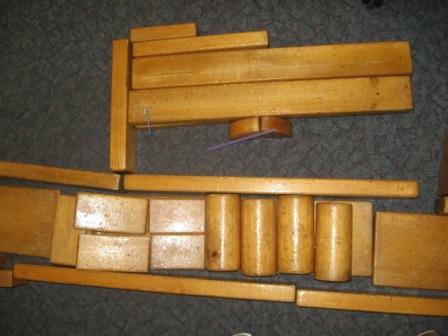 After this project the children’s block constructions continued to develop and evolve as they explored other ideas and structures. 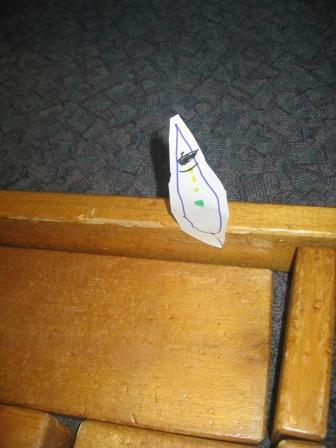 Sometimes they just need a little help and support to “move on” . 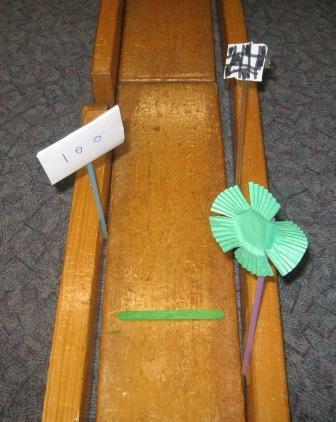 As a Follow Up to this project we used stop watches to time cars as they raced down luge ramps (long pieces of PVC pipe sliced in half). 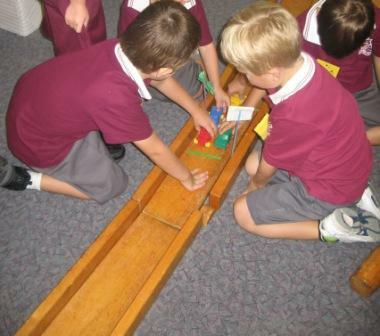 The whole class had lots of fun experimenting with the angles to discover which was the fastest.